By Rebecca Nickols on February 15, 2011 Visit Rebecca's Website. My Missouri coop was in the path of the recent winter storm that affected much of Midwest America. 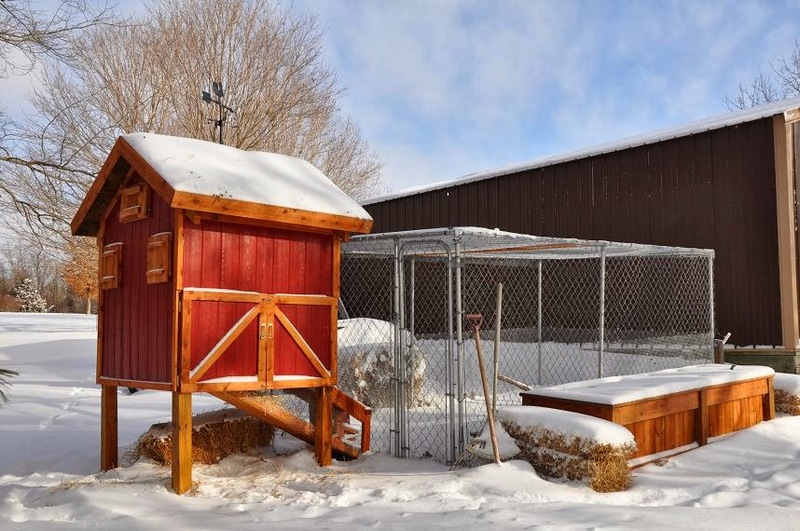 With ten inches of snow and temperatures below zero, my chickens were literally cooped up. They have access to the outside, but like me — they chose instead to stay bundled-up inside. So what does a bird whose whole purpose in life is to forage, scratch and peck do when it’s too cold? Well, they do nothing. I’ve come to the conclusion that chickens are workers. 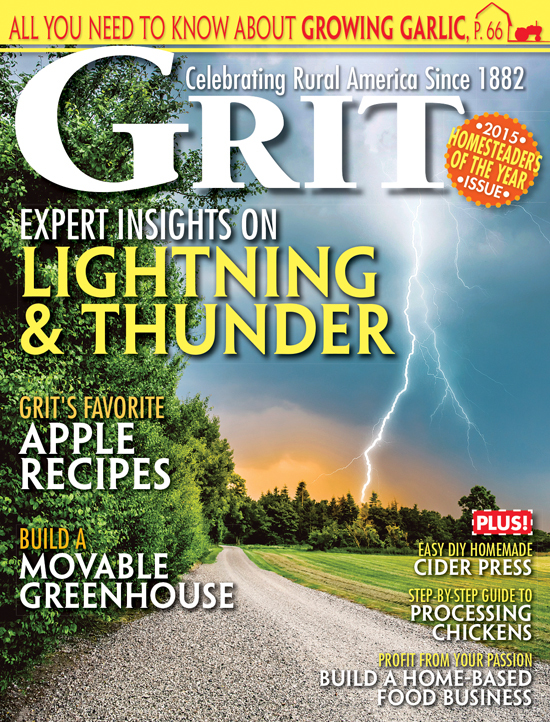 They want jobs to do — such as ridding your yard of bugs, turning the compost or cleaning up the remains of the garden. 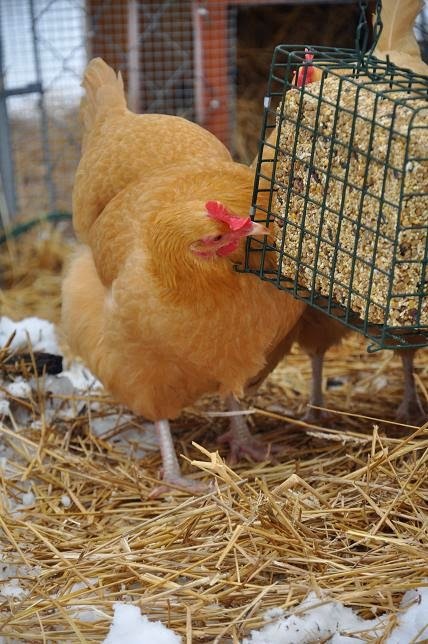 For a chicken that can’t hold still normally, being snowed in and roosting all day is for the birds! My flock is well-behaved and I haven’t seen any signs of aggression, such as feather pecking or egg eating, but lack of stimulation and crowded conditions can lead to this destructive behavior. I would prefer to avoid ever having to deal with that problem! I wanted to share a product that I recently tried out that proved to be the perfect solution to combat the boredom. I had considered giving my hens the homemade suet that I make for the wild birds in the winter. It consists of lard, cornmeal, peanut butter and birdseed. I’m sure in limited quantities it wouldn’t cause any harm, but I was a little leery of giving a chicken too much pure animal fat. 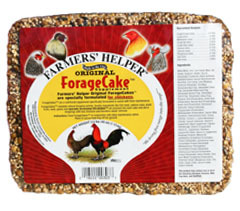 I saw the advertisement for ForageCakes on this website and after I researched the product, it seemed like a better option. The cakes proved to be a big hit with my girls! As they are with anything new, at first they were curious, yet cautious at the presence of something different in their coop. All it took was one peck from the bravest chick and soon the entire flock was trying to retrieve hidden morsels. As an enticement to venture out of their cozy nest, I hung a cake in the run. It’s been a great source of entertainment for them, with the added benefit of a feed supplement and increased activity. I feel good that their new recreation is also specifically designed for poultry and I’ve enjoyed watching their new sport. But it doesn’t take long for me to also want to retreat back into my warm home. I think we’re all ready for spring! Visit my website at the garden-roof coop. 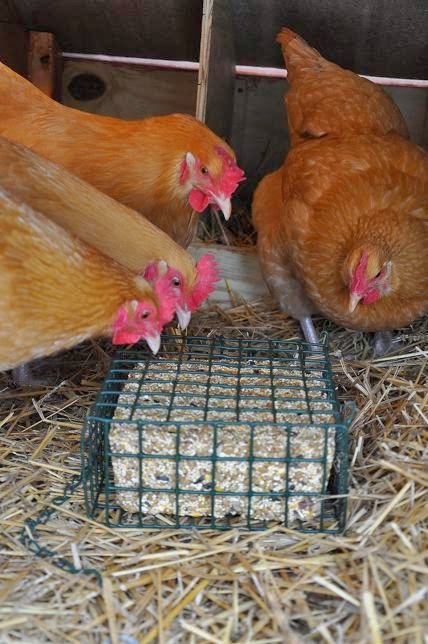 I bought the wild bird suet cakes at Wal Mart and hung them in my run and the chickens loved it. The only thing other than chickens that i attracted were feral cats but they couldn’t get in the run to get at it and they are afraid of the chickens anyway. does hanging fats in their cage attract predators? When my Massachuetts temperatures are very low for a period of time I get a piece of suet from my butcher. I never thought about their eating too much of it. I have also heard that if chickens are pecking each other, giving them suet can end that behavior. I have never had that problem so I cannot speak from experience. Of course, I give them suet occasionally during the winter. Since the snow here is three feet deep there is no cure for them (if not me) to stay holed up indoors out of the wind. I’ve been using these since last fall. It hangs in the coop and with 25 chickens the first one lasted about 3 months. Well worth the cost & they have chick cakes that I’ll be investing in when they arrive in May! Great idea! I would be interested in knowing how fast the chickens finish a cake. Thanks for the product review. I had heard of hanging, say, a half cabbage or something like that for them to play with , but this sounds like a great alternative.